Our office in the town of Atherstone, is located on the beautiful Market Square just off Long Street. There is free public car parking on the square itself, or at the Sheepy Road car park a very short walk away, if you need directions please just call the office. Our Atherstone office covers parts of 4 counties; Warwickshire, Leicestershire, Staffordshire and Derbyshire. 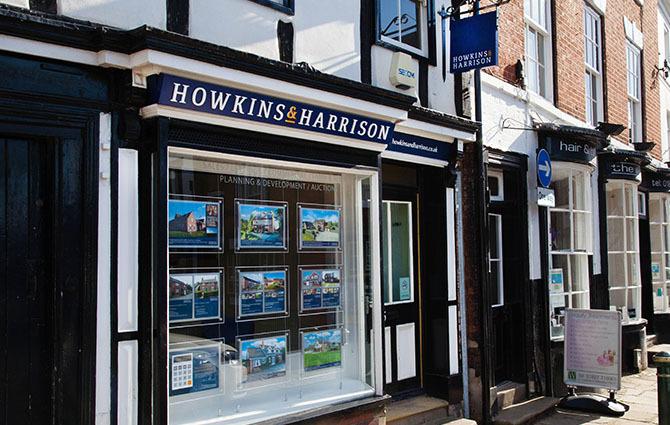 Our team here include professionally qualified surveyors, planners, estate agents and lettings agents. They offer a broad range of professional services for a wide range of property types including residential and rural property, farms and land, development land and commercial properties. Atherstone is a pretty market town with a population of around 10,000 and a long and rich history. It dates back to Roman times with links to British Queen, Boudica – who some say was defeated near to the town in her final battle with the Romans. It is located on the old Roman road of Watling Street and was a thriving commercial centre for weaving and clothmaking, being well known for its felt hats until the late 1990’s. The town is situated just 6 miles from Nuneaton and Tamworth, and only 12 miles from Coventry. It is close to the River Anker, which forms the boundary between Warwickshire and Leicestershire, with the villages of Mancetter and Witherley on either side of its banks. Being close to the A5 and the M42 has many benefits, as does the West Coast Main Line hourly train service to London and Crewe, via Stafford and Stoke. The area has a thriving rural community as well as many tourist attractions, such as Twycross Zoo. There are also some of the countries’ more interesting village names with Fenny Drayton and Sheepy Manga. To the west of the town many big employers have set up head offices or distribution centres, including TNT, Aldi and 3M. Until more recently British Home Stores was also based in the area. As with many old communities, Atherstone has an annual historical event, the Shrove Tuesday Ball Game. This is a free-for-all ball game played along the old roman road. A heavy leather ball is decorated with ribbons that can be exchanged for money for anyone able to get their hands on one. There are no teams and no goals, and the town board up shop windows every year for the event to take place. The game celebrated its 800th anniversary in 1999 and is one of Atherstone’s claims to fame.